Agriculture has long served as a major economic engine in Wisconsin, but today farmers are under increasing financial stress which has led to an uptick in farm bankruptcies across the state. In fact, Western Wisconsin led the nation in farm bankruptcies in 2017. As part of this session, the presenters will discuss economic trends affecting agriculture, the impacts on Wisconsin farmers, and implications for Wisconsin’s communities. Downtowns in Wisconsin, both big and small, continue to experience significant change in their customers and competition. With the emergence of shopping centers in the ‘70s, large format stores in the ‘80s and ‘90s, and now the Internet coupled with brick and mortar stores, businesses are reaching new customers in new ways. Beyond traditional retail are emerging many unique businesses that contribute to downtown’s evolving purpose. But identifying the key market segments, finding the right business mix, creating an authentic niche, and use of technology require a solid market analysis. Working with UW-Extension, a community-led research project applies the data and insight from the University, with the experience of local leaders to develop a community-led market analysis. This market analysis becomes a roadmap for the community to properly manage the direction of its downtown. Recorded program available for $35. To order call the Local Government Center office, 608-262-9961 or 608-262-9960. Local governments need to be savvy and intentional about how they connect with the next generation. This presenter will cover ten ways to engage Millennials and Gen Z including successful talent attraction case studies and strategies to create connection in communities. His philosophy for community engagement starts with–change everything and then create solutions that empower constituents to create the communities they envision. Recorded program available for $35. To order call the Local Government Center office, 608-262-9961 or 608-262-996. 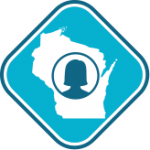 Over the past several years, Wisconsin’s legislature has enacted numerous laws impacting local planning and zoning. The laws address a variety of local land use practices including conditional use permits; nonconforming uses, structures and lots; vested rights; moratoria; development-related fees and more. This program summarizes those laws so local governments can review their ordinances and practices to insure they have not missed any of the changes and comply with the new laws. If you would like to order a USB thumb drive with the program and materials for $35.00 please contact our office. Study reveals women don’t run because they don’t think they’re qualified. The record number of women just sworn in to the U.S. House of Representatives gave us images of government made up of lots of women with diverse backgrounds, however the reality in Wisconsin is that women do not run for public office in numbers proportional to the population. WISC TV interviewed Jennifer Erickson on January 3, 2019 about research into reasons women don’t run.